We will arrange the shipment in 3 working days by FedEx or POST OFFICE for standard items (not included customized items), it will take another 5-12 work days to reach USA, Canada West, North and some East Europe countries & some Asia countries(not including customs clearance delay). We will try the best to advance the delivery date, if you have another question, please freely contact with us. 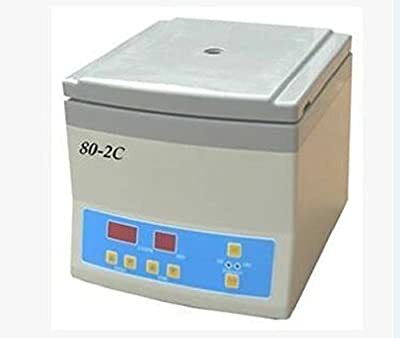 Applied microcomputer to control centrifugation speed and electronic timing, timed precisely. Motors with brushless DC motor, long life, maintenance-free. The shell is made of high quality PVC plastic, looks beautiful, economical and practical, widely used in biological, chemical, pharmaceutical etc. It is suitable for radioimmunoassay identification and separation of cells so on.